20 years ago today, the Davis Mafia (Tomasin, Hunter, Connor, Geselbracht, Bachman and Snipes) plus Larkin took me on a bachelor party to San Diego and Mexico. The highlights included a Padres game at Jack Murphy Stadium, getting acquainted with law enforcement in the United States and Mexico, stopping at Rosarito Beach, paying to leave an entertainment establishment in Ensenada, Hussong’s Cantina and the Macarena. Although not in the picture, Chabrier and Siskowic made guest appearances at the beginning of the trip. 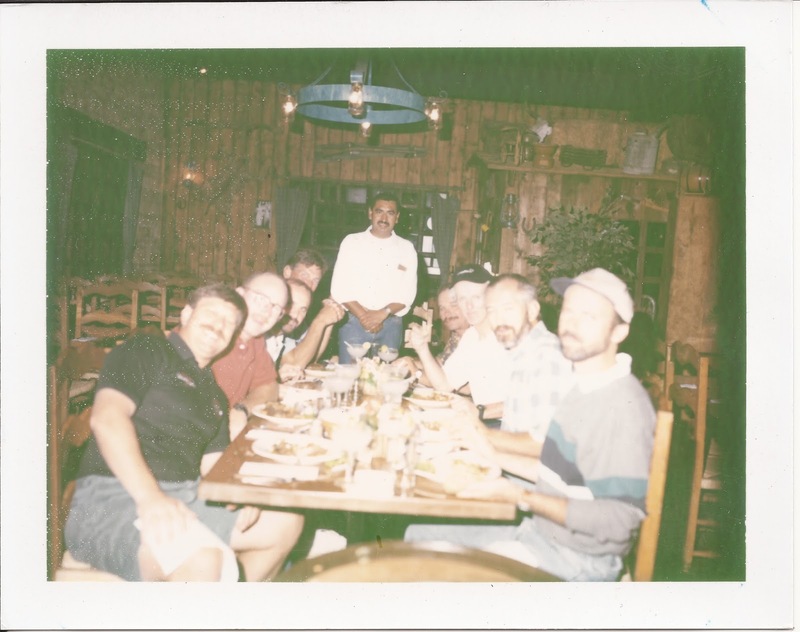 Tomasin bought this Polaroid picture at dinner in Ensenada. I have had it my nightstand for the last twenty years.